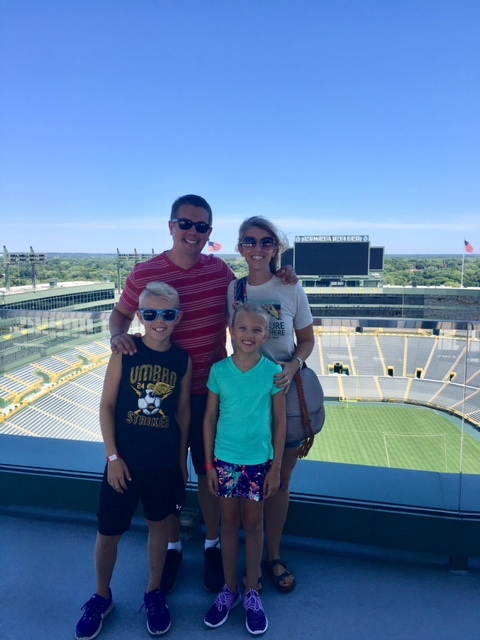 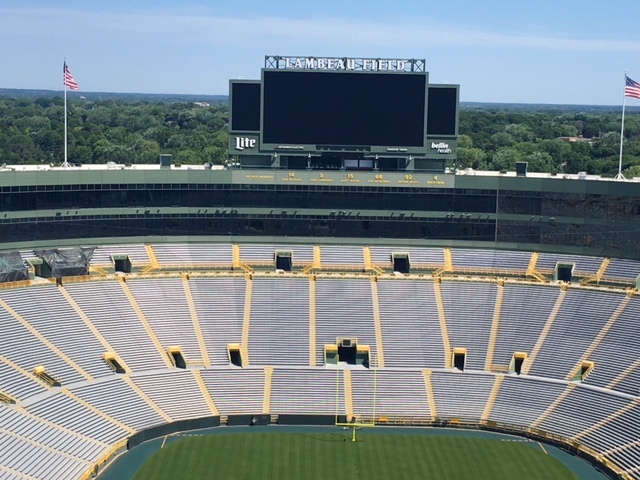 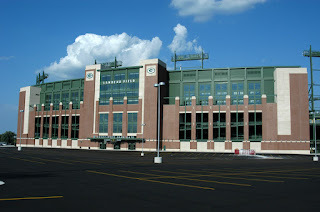 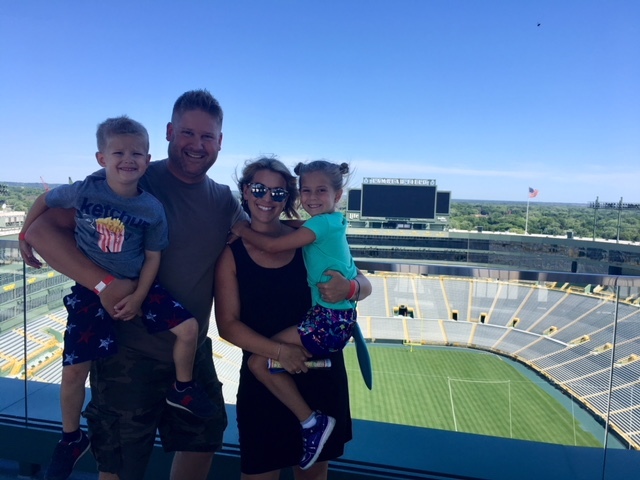 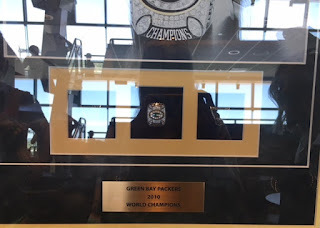 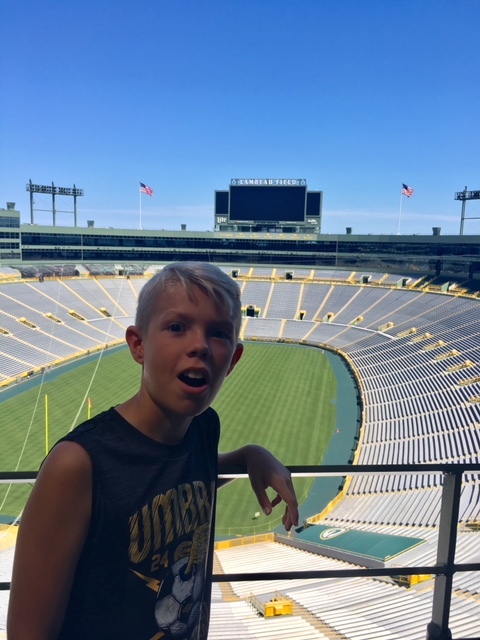 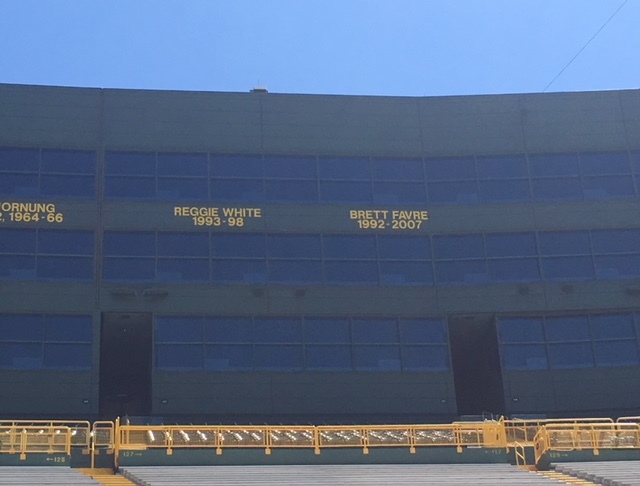 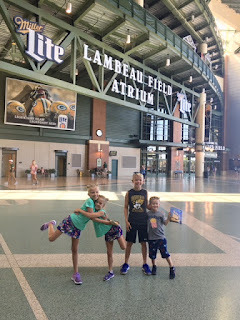 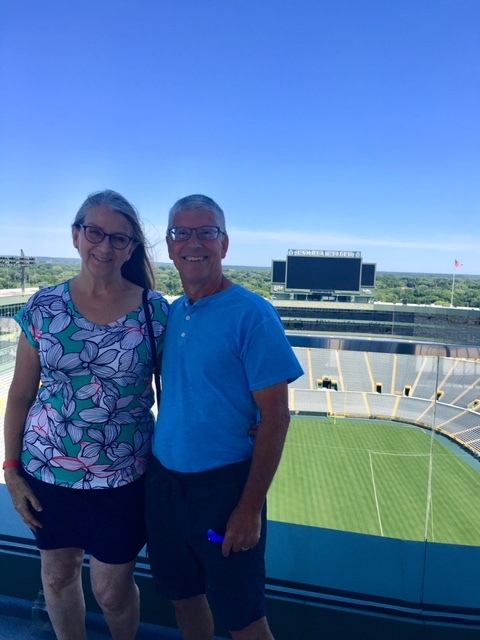 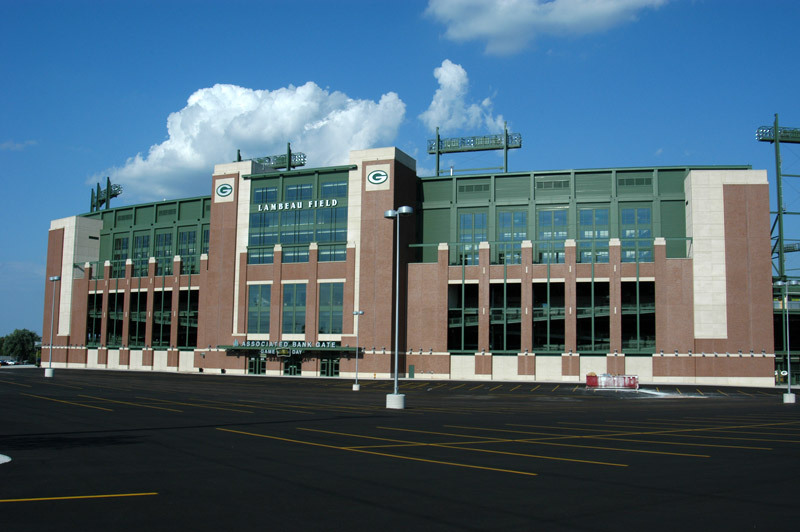 Ok, so I didn't do the Lambeau Leap myself, but we did take a tour of the famed Lambeau Field. 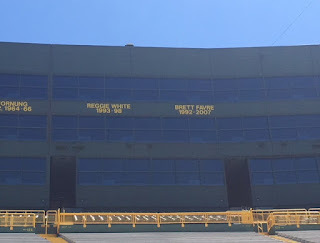 with and created as a replica of the lines on the actual field. Another view of the impressive atrium. 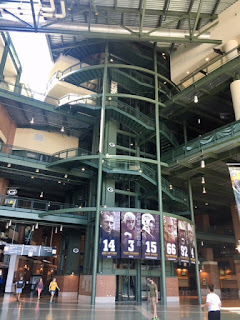 Some of the art in the hallway outside the suites. Loving the sweet suite seats. 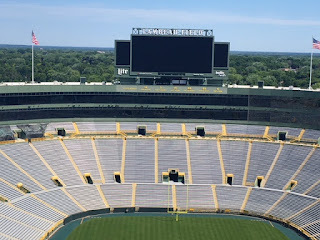 a game, a seat in this section and all you can eat catering can be yours! 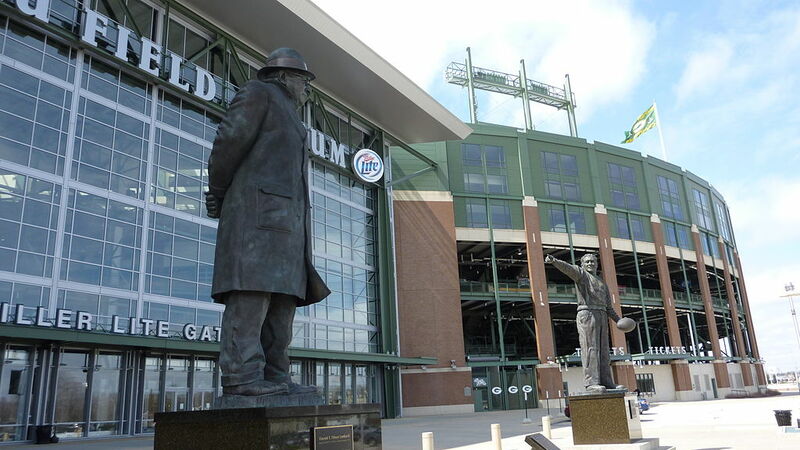 A couple of our favorites. 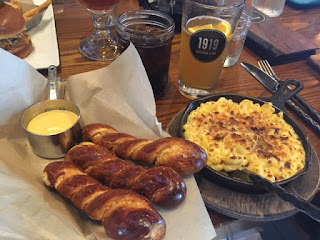 After the tour we ate lunch at the 1919 Kitchen & Tap, the on-site restaurant and bar. I shared with my sister the Wisconsin-ist meal available on the menu: beer cheese mac skillet, stone-baked soft pretzel sticks with Blue Moon beer cheese, Green & Gold pizza, and a pint of beer. We also did a little shopping in the gigantic Packer Store, where Hallie scored a pair of green and gold pompoms and Will picked up a new Packer soccer ball. I loved sharing this experience with Tom, the kids, and our larger family unit. Thanks, Mom and Dad for the opportunity, and Go Pack Go!